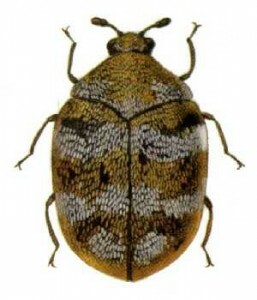 Carpet beetles are harmless pests and do not usually bite human beings. Nevertheless, these pests are listed as harmful pests. This because they can feed on things such as wool and clothes, natural fibers composed of animal fibers to cause damage throughout the household…..the good things is they won’t generally feed off you. Susceptible people may find shed hairs of the larvae cause irritated itch welts that maybe confused with bedbug bites. Carpet beetles infestations usually happen during the warm months, many wild population of carpet beetles will move in to home during this month. 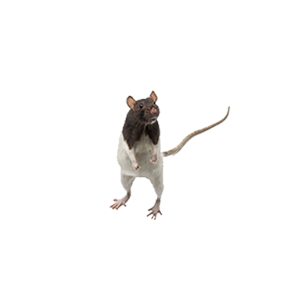 Low level infestations are of minor importance, however if severe infestations occur in food products, stuffed animals, woolen fabrics, feathers and other products of animal origin, you may need to engage a professional pest controller to perform thorough treatment. Adult carpet beetles usually lay their eggs under carpet, in air ducts, in closets, under seldom-moved furniture. Infestations can be prevented by regular vacuum cleaning, dry cleaning, or airing clothing outside, placing mothballs in the closet.